Hi there! I’m Debbie and I blog over at Fabulously Smitten. My blog has been a great opportunity for me to share new recipes I’ve tried, creative journeys I’ve embarked on in decorating and crafting and all of my Mommy Adventures. I am a designer, teacher as well as event planner and I do hope you will stop by and say hello so I can get to know you! One of my favorite things is creating designs to help people personalize their space & lifestyle. My Etsy Shop is custom made to reflect your family, your life and everything that makes things amazing to you. Do you need the perfect finishing touch for your nursery or an unforgettable baby gift? My Birth Announcement Subway Art can be custom made to match any nursery. Are you looking to have a remarkable birthday, graduation or holiday party but are running short on time and inspiration? I have got you covered with party consultations as well as complete party packages for any event. Now for the really fun part! Debbie of Fabulously Smitten has offered to give one lucky Sweet Lavender Bake Shoppe reader a free Party Planning Consultation! (a $50 value)! Looking for some help and fabulous inspiration when getting ready for your next birthday, graduation or holiday party? Look no further, Fabulously Smitten, would love to create an event your guests will be talking about for years. Your event planner will also schedule a minimum of two 30 minute phone conferences with you to get your party started as well as continuous email contact while planning. Get ready to be fabulous! 1.Become a GFC follower of Sweet Lavender Bake Shoppe (under "sweet friends") and leave a comment on this blog saying you did so! If you're already a follower, simply leave a comment saying so! 2. Like Sweet Lavender Bake Shoppe's Facebook Page and leave a separate comment on this blog saying you did so or that you already were! 3. Like Fabulously Smitten's Facebook Page and leave a separate comment on this blog saying you did so or that you already were! 5. Follow Fabulously Smitten on Twitter and leave a separate comment on this blog saying you did so or that you already were! **So that means, you have the opportunity to enter 5 times!!! 5 chances to win?! OH YEAH! 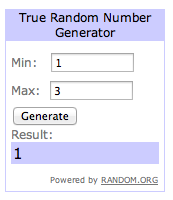 Giveaway ends Friday, March 8th 2013 and I will announce the winner on this blog post! So make sure you come back next Friday and check to see if you won! Open to US residents only. 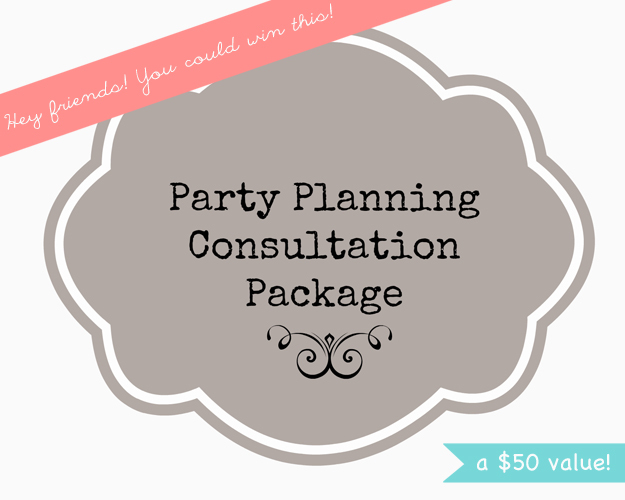 You are the winner of this amazing $50 Party Consultation Package! Please email sweetlavenderbakeshoppe@yahoo.com to claim your prize! !